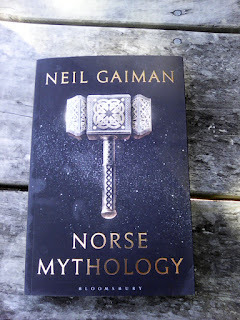 Diatonic Scale: Finished Reading "Norse Mythology" by Neil Gaiman (2016). 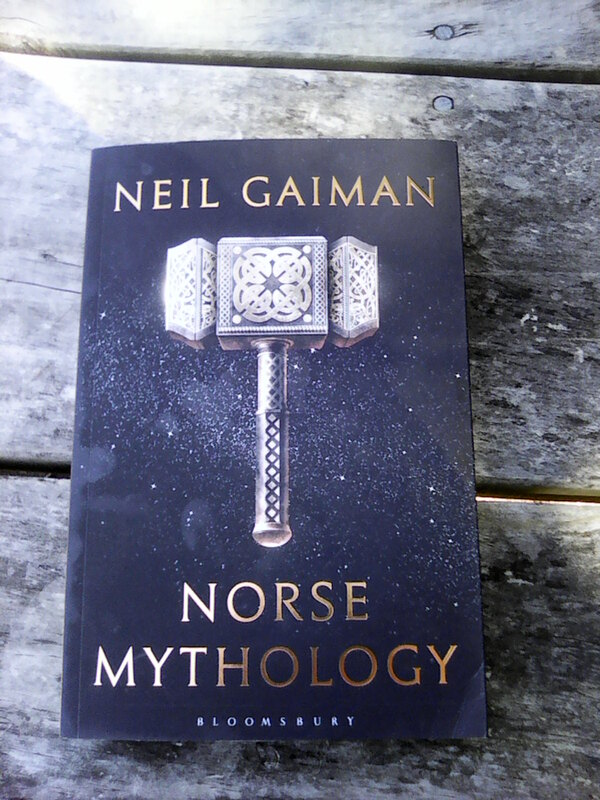 Finished Reading "Norse Mythology" by Neil Gaiman (2016). This book is composed of a series of self enclosed stories (Myths) from Norse mythology, presented in a sequence that resembles the sequence of books in the Catholic Bible, from creation, in Genesis to end, Revelations. From previous readings of compendiums of Germanic Mythology, including the Prose Edda by Snorri Sturluson, Gaiman has told select stories from the Norse Mythology, developing the Norse gods and mythical creatures personalities and presenting what could be understood as a fundamental interpretation in ways that evoke metaphors representing modern experience, such as aspects of Ragnoroc that evoke modern visions of environmental catastrophe or Nuclear Winter. Each Myth is a story that can be interpreted independently but Neil Gaiman has presented them in a chronological sequence, which makes reference to earlier stories featuring the characters and thus representing a kind of sequential development. When I started reading, the first chapter was a description of the creation myth, which hits like reading Tolkiens Simarilion, a bit dry, which I skipped after flipping through. The next chapter was a story describing the creation of treasures of the gods, things that modern readers would easily recognise and featured Odin, Thor and Loki, which was engaging and amusing. Things were easier to read after that. After reading to the end, I then reread the creation mythology and because the places and characters had meaning, the creation myth was more easier to read. And I was struck by its potential to be read as metaphor, although again its possible Gaiman may have presented it in a way that would purposely evoke modern interpretations. Something I didn't know, or perhaps, remember was that in Norse Mythology, Man was carved from an Ash tree and Woman was carved from Elm. Gender interpretations were given to the different trees. Ultimately I found the book easy to read and at times quite amusing.